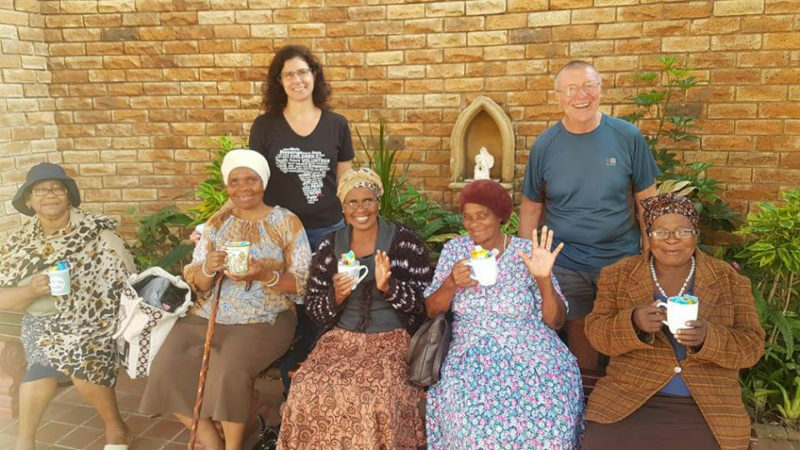 Early this morning a small group of our volunteers joined the ladies at the Pinetown Catholic Church who serve sandwiches and juice to the less fortunate every Tuesday. We shared a little love and laughter with the old Gogos with our #MugsAndMallows2018 campaign. They were so excited to receive their very own brand new,bright and beautiful mugs, filled with easter eggs and some biscuits. This was a little unexpected treat that brought them such joy. Thank you again to everyone who helped to put a smile on their faces by supporting this campaign!